GET BETTER PRODUCTIVITY, NO STRINGS ATTACHED. Offering unrivalled savings and page yields, print freely without compromise. Each set of ink bottles delivers an ultra-high-yield of 7,500 for colour and 4,500 pages for black. 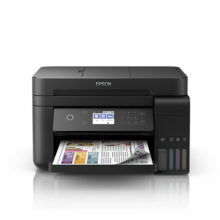 Printing also comes as a convenience with the integrated suite of Wi-Fi connectivity features that allow you to print anywhere in the office from your smart devices. Don’t compromise on cost as you print. With Epson’s original ink tank system, you’ll be able to save costs as each set of bottle inks has an ultra-high yield of 7,500 for colour and 4,500 pages for black. 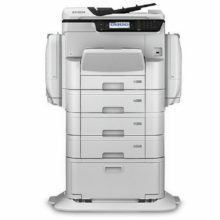 The integrated wireless connectivity on the L385 allows easy and flexible printing and scanning from your mobile devices. 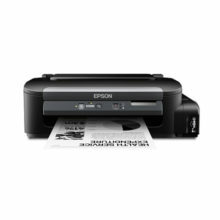 Epson Email Print – Print to any Email Print-enabled Epson printer from any device or PC with email access. 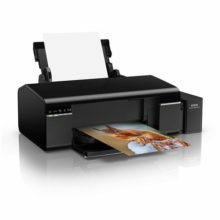 Enjoy warranty coverage of up to 1 year or 30,000 prints, whichever comes first, for maximum value from your printer and freedom from worries over its maintenance. 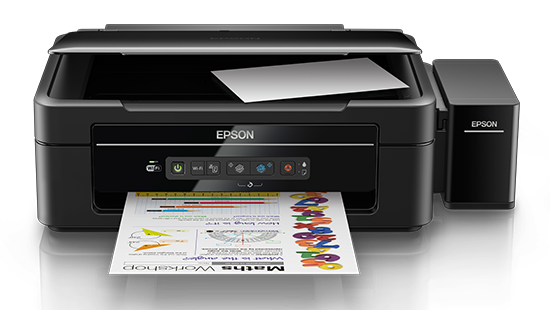 Epson’s warranty includes coverage of printhead, which is most important for a printer designed for high volume printing. The L385 prints at a high printing resolution of 5760 dpi, delivering exceptionally high quality prints for all your needs. In addition, you will appreciate the fast print speeds of up to 10ipm for black and 5.0ipm for colour.